Mukono District performed best overall in the 2017 Uganda Certificate of Education examinations according to results that have just been released by Uganda National Examinations Board (UNEB). Topping the list with 24.7% of students who passed, Mukono is followed by Bushenyi District with 21.8% of students who passed. Wakiso came third with 21.2% and Kampala in fourth position with 19.3%. Bukwo, Butaleja, Bundibugyo, Kween, Kapchorwa, Buliisa, Bulambuli, Pallisa, Sironko, Busia, Kasese and Bududa were named as the worst performing districts. Meanwhile the examinations body is withholding results of 4,525 candidates (1.4% of candidates who sat) from 112 centres which are suspected to have involved themselves in various forms of examination malpractice. Speaking during the release of the results, Prof Mary Okwakol, the Uneb chairperson said several arrests were made by police of people found engaging in malpractice across the country. 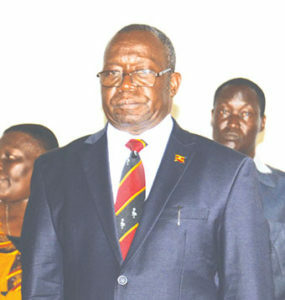 Uneb executive Daniel Odongo revealed that out of 326,212 who registered for the examinations, 6,093 students did not turn up, and of these 3,121(1.9%) were boys compared to 2,972 (1.8%) girls.